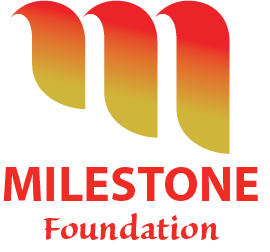 Milestone Foundation Limited was established in September 2015 to support our local communities. Our intention is to distribute funding to support education, health and matters that promote and support the Asian culture in New Zealand. Milestone Foundation is governed by a Board of Directors. Yuan Li (also known as Leon Li) moved to New Zealand from China 15 years ago with his wife and son. He had been a school teacher for 10 years prior to relocating to New Zealand. He has worked across a number of industries in a management capacity and developed his interest in consulting. Leon is now a licensed immigration adviser and registered financial adviser. Being a migrant himself, Leon has a keen interest in supporting the Asian community in need of funding for education and health care purposes. Colin moved to New Zealand in 1992 and started his working career in the health sector. Since 1993, Colin has worked within the printing industry and is today the Managing Director of a large printing company in Auckland. Colin has a keen interest in supporting the Asian community and is the Chairman of the New Zealand Jiangmen Chinese Associaion and Vice Chairman of Jiangmen City Returnee Overseas Chinese Association. Frank moved to New Zealand in 2002 with his family. His working background is grocery retail management in Auckland and Northland regions. Frank and his wife now operate a rest home in Auckland. Frank enjoys participating in community services. He joined Lions Club, and is now a member of the Lions Eden-Epsom Club. Milestone Foundation have partnered with industry experienced advisors to operate a compliant, high quality gaming operation. Maxserv is the largest provider of management solutions to the Class 4 Gaming Industry in New Zealand. Jarrod True has considerable expertise in all aspects of the community gaming industry, and is one of New Zealand's foremost experts on the law and policy regarding class 4 gambling. Jarrod is the author of the New Zealand Gambling Law Guide. Milestone Foundation Financial Reports will be available to view on this website at the conclusion of each financial year.